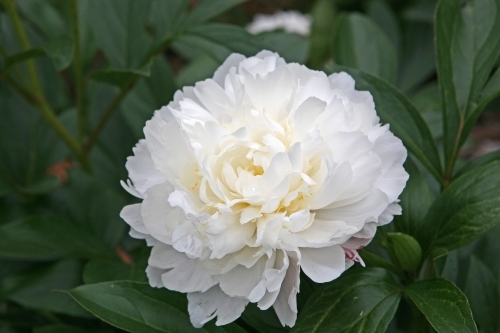 I was wondering what other members consider their favorite double white peony? There are so many of course, but I’ve got a soft spot for Amalia Olson with its snow-white petals, large flowers and exquisite fragrance. It’s also a very healthy plant and it grows well. Another favorite of mine is Allan Rogers, with its abundance of flowers, although the flowers are somewhat smaller. This is not an easy question to answer for me Koen! I test, and have tested very many whites. Not just because they are commercially the most interesting for cut flowers, but probably mainly because my personal preference lies with the purity of white flowers. I can name a few here, but there certainly are a lot of ex aequo rankings for me and I should also note that I have a lot of whites that I think real highly of but have not grown to maturity just yet. – Madame Claude Tain is the best commercial cut flower for me, always has been and very likely always will be. Very high production, excellent bud presentation, excellent vase life and when I put dozens of different whites in my house it always stands out – whiter than white. 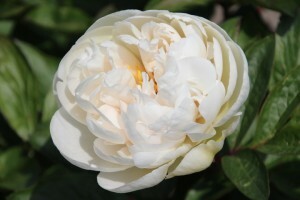 – Dr. F.G. Brethour is another excellent white cut flower for me. For the future there are a handful of nominees for me, of which at this point I shall only name Luxor – an excellent bomb of extra heavy quality. 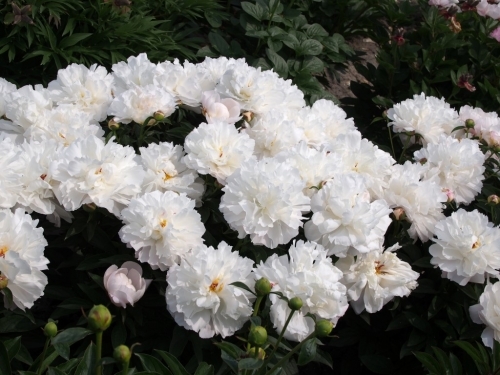 – Greenland is another favourite, but on a whole different level because it’s not a lactiflora but a herbaceous hybrid peony. 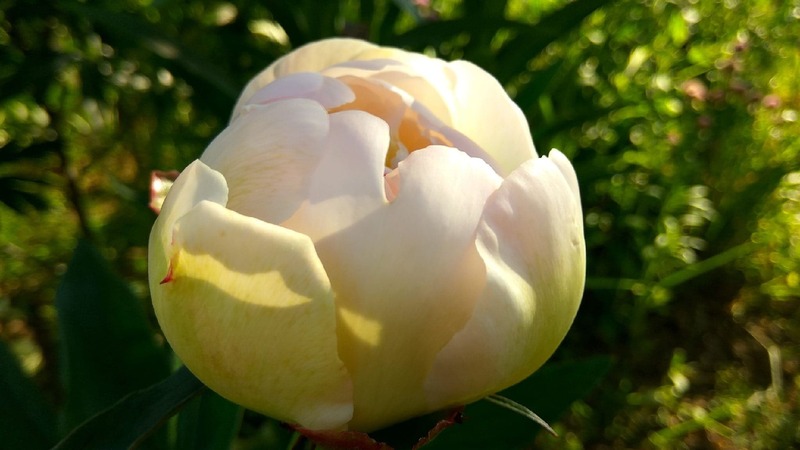 The very dark green foliage sets off so nicely against the handsomely shaped double white blooms with its very appealing perfectly rounded petals. (picture of an immature bloom from a plant in its second spring). – For use in the garden, a current favourite is Steve’s Choice. Dwarf-ish, very compact with a very good stand and a prolific bloomer. 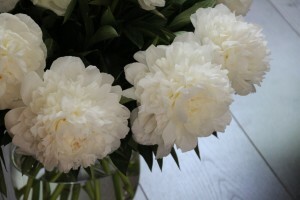 Being a layman, I prefer beautiful flower form, pristine white flowers, no need for support. All these three fill those qualifications: ‘White Grace’, ‘Mother’s Choice’ and ‘Steve’s Choice’. Всем привет! У меня много разных белых пионов, но я не готов кого-то одного выделить на 100% лучше всех. Не было такой задачи. У каждого своя изюмина. Мне проще написать что мне понравилось больше других в прошедшем сезоне из белых. 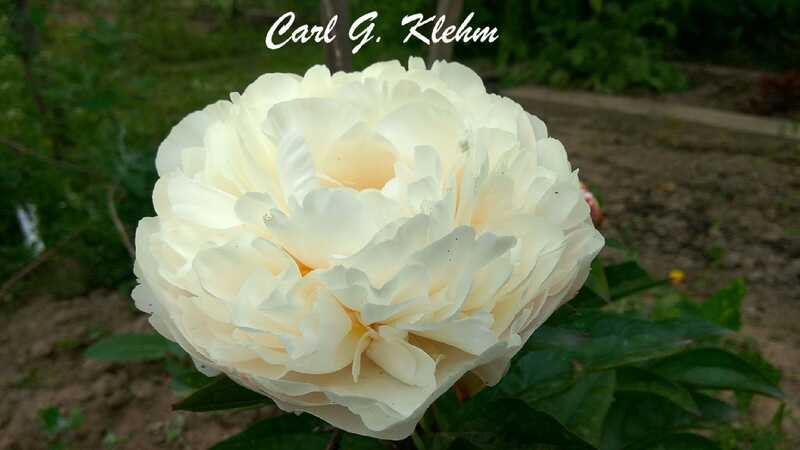 Первым я бы поставил Carl G Klehm. Я его получил от Ruuda и он красиво цвел в первое свое лето. У нас случаются резкие похолодания и сырость в периоды самого начала цветения. Он показал себя хорошо. Еще мне понравился первый бутон Alice Harding , особенно его первый цвет и последующие оттенки белого. Но есть один момент. В первое цветение я не увидел ни пестиков, ни тычинок. Мне сейчас пока не понятно это временная ситуация или это ошибка сорта? Welcome to the site, I hadn’t expected posts in Russian, but the translation option seems to work well and I’m able to understand what you’ve written. I’m very glad you’ve said something about your favorite whites. The only one that I grow of those you mention is Carl G. Klehm (pictured left). That one is currently a favorite for many growers (and many cutflower growers) thanks to its enormous and perfectly formed flowers. When they are fully open it’s difficult to find anything as beautiful as that one is. It also has very pretty large pink buds that are quite attractive and the foliage is deep green. 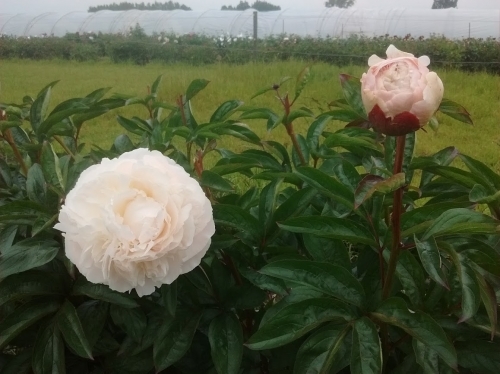 The only drawback I found was that, although the stems are very sturdy, when it rains and the wind blows a lot on the open flower, the stems will not bend, but break under the very heavy weight of the flowers. But that is of course under very adverse weather conditions. Normal rain or wind is no problem and it also ranks very high here. If yours is only a first year plant (but when bought from Ruud Warmerdam, you always start with excellent large divisions), I’m sure it will impress you even more the following years as it gets larger still. ALICE HARDING (Lemoine, 1922) – Double – Flesh Pink – Midseason. Medium height. Sweet fragrance. Large. Broad evenly rounded guard-petals of delicate flesh-pink, flushed darker on the reverse, surround a cupped center of long, irregular petals of creamy white; stamens concealed in the collar; center-band minutely marked with crimson. Fairly floriferous. Stems and foliage good. 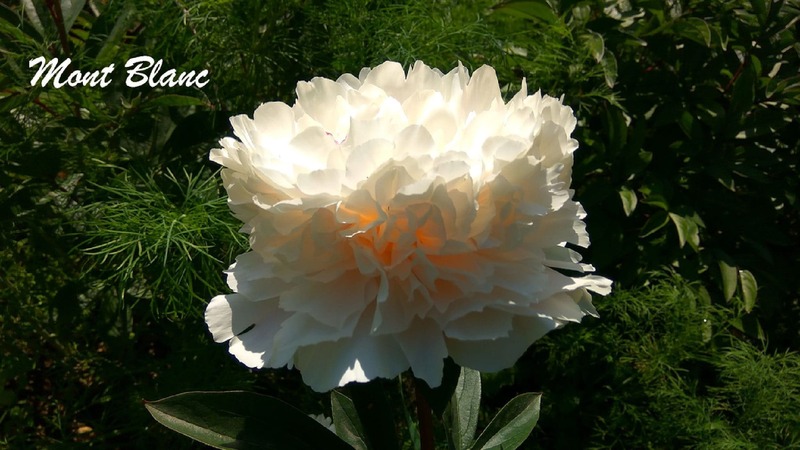 On June 8, 1922, this variety received a special prize, offered by Mrs. Edward Harding, and awarded by the Societé Nationale d’Horticulturex de France, for the best French seedling peony. It is said that Lemoine considers this his best introduction. It is clearly a very beautiful flower. Midseason. That description fits the image you posted of it. The registration mentions ‘stamens concealed in the collar’, thus they’ll probably show up in later years when you have a more mature plant. Hello Koen! Thanks! 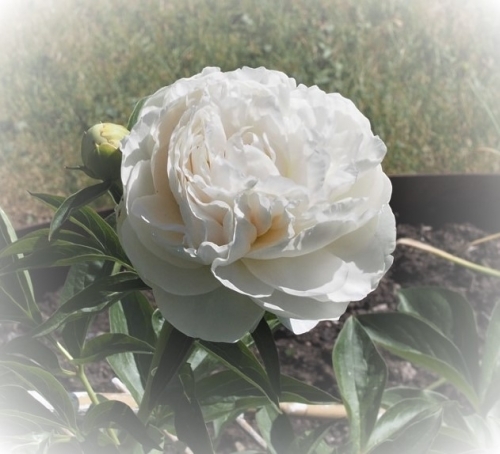 I love white peonies and I have several others. 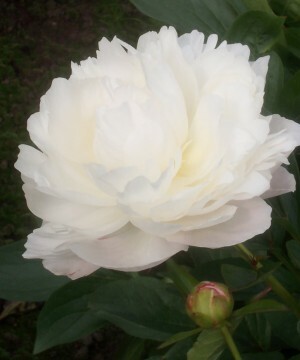 I study white peonies Lemoine for several years. 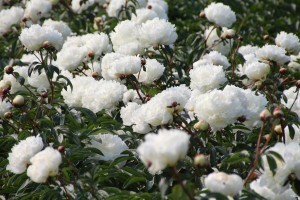 Some of its varieties have similar features and they do not have stamens. I agree that they may appear later. 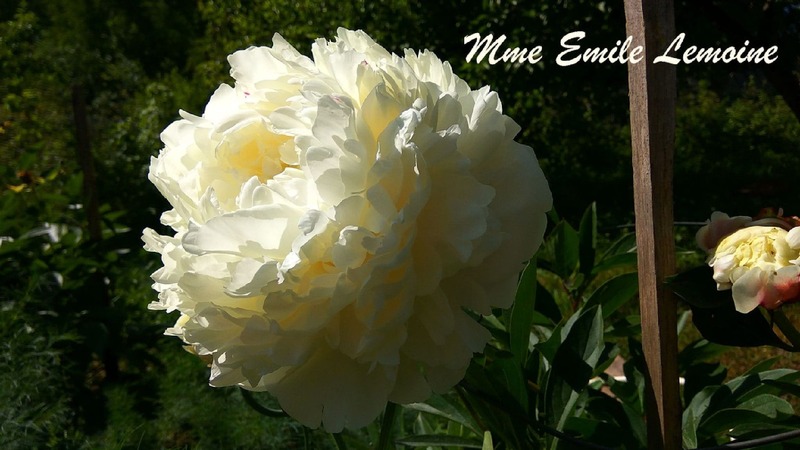 And in the case of Madame Emile Lemoine they should be in the center of the crown among the many small petals. I there sought and found very small not developed stamens. Perhaps this was meant? Maybe my growing conditions are not the best. These varieties are still rare and little information. Discovered this site & forum – so glad I found it! 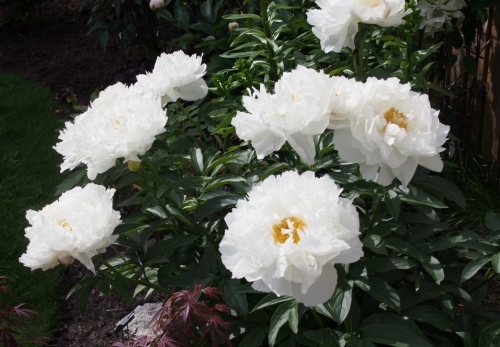 In addition, we’re also growing Mary E. Nicholls, White Wicker & Yang Fei Chu Yu which to experts may not completely meet requirements of PURE white. Nonetheless, are young garden is graced by their presence. It will be quite a while before we can fully appreciate any of the cultivars we are growing here, as our garden renovation & design is really rather new. Best Regards from Southern Finland! 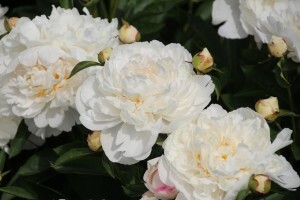 White Frost, nice foliage to the ground, nicely formed blooms, reliable, a singularly sweet, lemony fragrance.